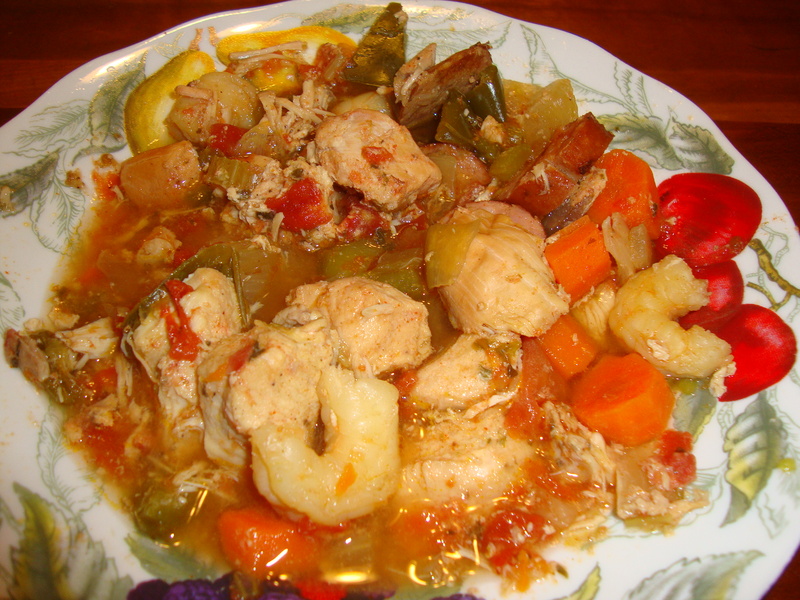 And of course… there’s shrimp in jambalaya! If you’ve been cold lately, do yourself a favor and make this slow cooker recipe. 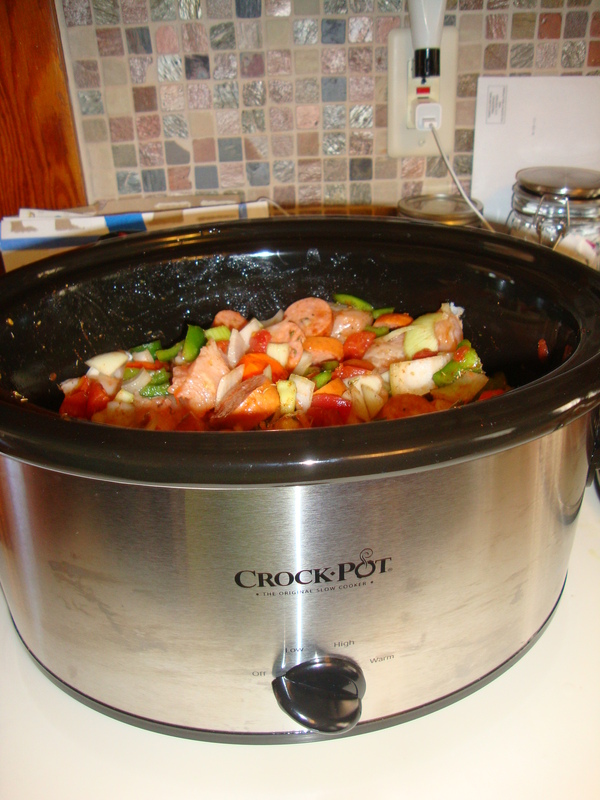 Plus, it’s in a slow-cooker… Which means you can do the millions of other things you need to do. I found this recipe on Allrecipes.com and was very happy with it. I did not even bother serving it over rice, but you certainly can. It lasted me several days. -1 pound skinless, boneless chicken breast halves – cut into 1 inch cubes. It’s weirdly fun cutting up raw chicken. I don’t know why. -1 pound andouille sausage, sliced (found this in the hotdog section). I’m sure you could other sausages too though. 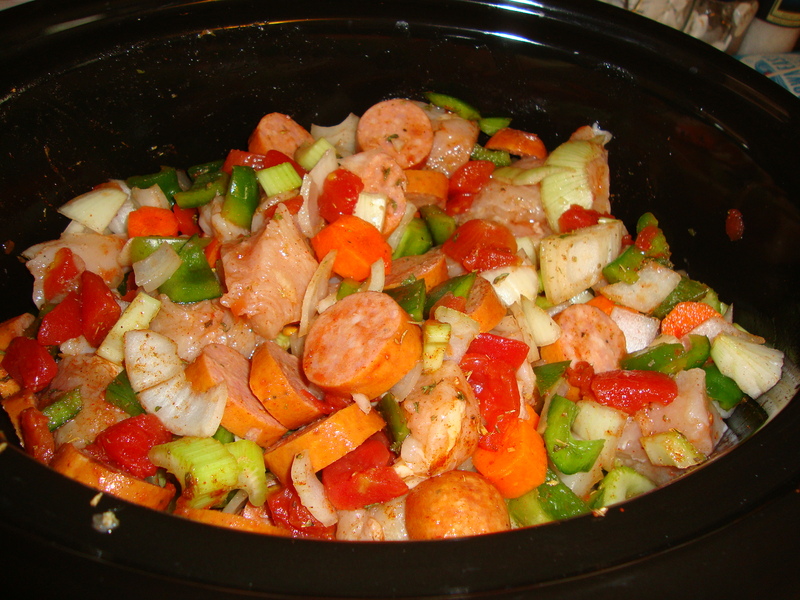 In your slow cooker, mix the chicken, sausage, tomatoes with juice, onion, green bell pepper, celery, and broth. Season with oregano, parsley, Cajun seasoning, cayenne pepper, and thyme. Mix all together. Go off and live your life. Have an amazing meal all done. Feel proud. Accept accolades.